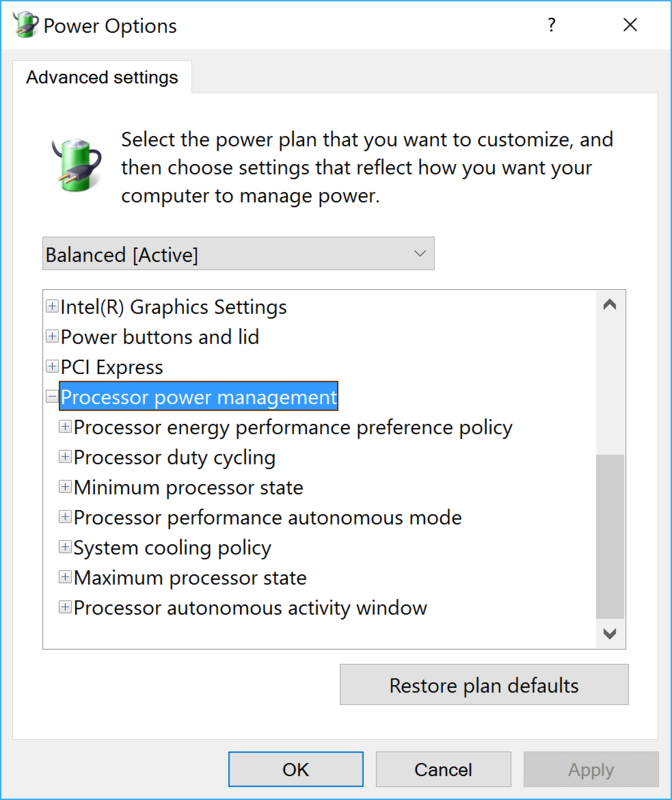 Since these newer Intel processors take over control of core parking from the OS, they have different power management options. As we work to fully support the latest hardware, we’ve created a .REG file to unhide these options. The most important, arguably, is the basic ON/OFF switch to either use ‘autonomous’ core parking controlled by the CPU, or not. You’ll see that option in the Advanced Power Options after you you run these .REG files. Note, use our RegMerge to see what’s inside first, and what changes it will make if you want. Skylake’s Autonomous Mode turns on/off the CPU’s ‘smart parking’, but does NOT turn off OS managed core parking. To do that, use ParkControl or the usual ways. Autonomous Mode turns on/off the CPU’s ‘smart parking’, but does NOT turn off OS managed core parking. To do that, use ParkControl or the usual ways. ParkControl supports basic core parking ON/OFF in Skylake, and these additional settings are being added within days/weeks. How do I know if I have a Skylake processor? If your CPU model is Intel Core i3/i5/i7 6xxx or certain Xeons, then it is. Otherwise, it is not. Unless you bought your PC recently, it is not. Read more about SkyLake’s new CPU controlled core parking and other energy conservation and heat dissipation measures at Anandtech. For all your core parking control needs, see ParkControl …. 8baa4a8a-14c6-4451-8e8b-14bdbd197537 – Processor performance autonomous mode (Enable/Disable) Specify whether processors should autonomously determine their target performance state. 36687f9e-e3a5-4dbf-b1dc-15eb381c6863 – Processor energy performance preference policy (Percent) Specify how much processors should favor energy savings over performance when operating in autonomous mode. cfeda3d0-7697-4566-a922-a9086cd49dfa – Processor autonomous activity window (Microseconds) Specify the time period over which to observe processor utilization when operating in autonomous mode. 4e4450b3-6179-4e91-b8f1-5bb9938f81a1 – Processor duty cycling Specify whether the processor may use duty cycling.